The Yardley Collection was donated to the Avery Architectural and Fine Arts Library by the wife of Mr. John H. Yardley in memory of her husband. Assembled over many years, the Yardley Collection reflects a sensitivity to New York's geographic and architectural heritage. 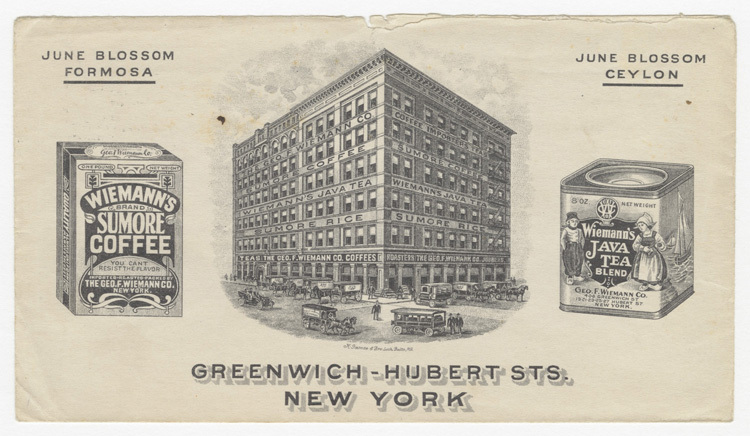 These images of distinctive buildings now join the Avery Library's other strong holdings in architectural ephemera, a reflection of Avery's commitment to preserving ephemera as an essential and irreplaceable visual record of the historic built environment. To tour the Yardley Collection, select a street from the list: the link will take you to a page of letterheads depicting buildings along that street. Click on any letterhead to see a larger image, to read more information, or to download. The collection can also be approached through the index page, where letterheads are sorted by company name.